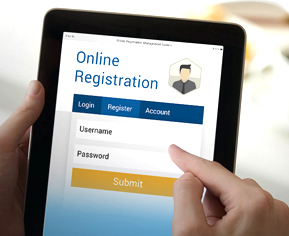 Online Registration Management System is a fully-featured, cost-effective and customizable solution that facilitates enterprise and organisations to allow members and customers to register and pay online anytime and anywhere for events, training courses and examinations, etc. The powerful Online Registration Manager facilitates easy maintenance on event, training and exam details, and the Report Manager provides comprehensive reports on registration and payment statuses for easy tracking. Simply create your event and training online, and your attendees can readily sign up in next minute. Ideal for professional associations, training schools, marketing campaigns and corporate, etc.